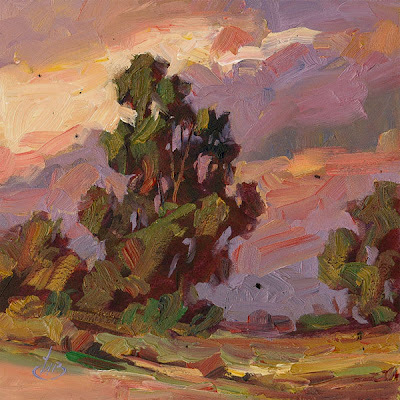 NOTE: I will be conducting a PLEIN AIR WORKSHOP at a movie location near Hollywood on November 17 and 18. It’s for everyone, from ABSOLUTE BEGINNERS to professional artists. The cost is $100 for one day, or $180 for both days. We will be painting at a breath-taking location that has been used in over a dozen movies and TV shows. In fact a film crew is scheduled to be filming nearby the day we are there. If you have ever wanted to try your hand at Plein Air painting or simply want to polish your skills, this is the perfect opportunity. I will share ALL my secrets, tips and techniques with you. 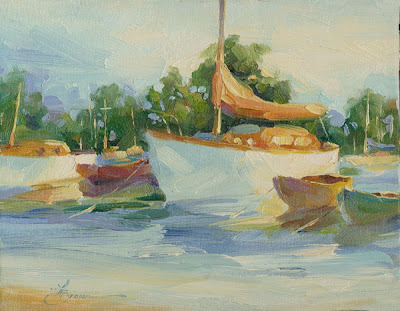 All mediums are welcome, but I will be demonstrating in oils. Early enrollment is suggested. My workshops fill up fast and class size is limited so that I can give lots of personal attention. Don't wait too long. The FREE PAINTING was shipped Monday. Watch for a comment from the winner later this week. 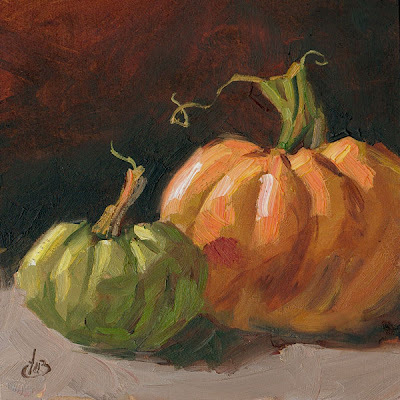 The October FREE PAINTING GIVEAWAY was so much fun I am doing it again in November. Look for details in coming days. 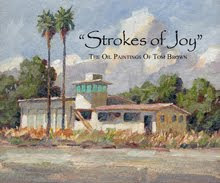 We will be painting at a breath-taking location that has been used in over a dozen movies and TV shows. In fact a film crew is scheduled to be filming nearby the day we are there. Very inspiring scenery! If you have ever wanted to try your hand at Plein Air painting or simply want to polish your skills, this is the perfect opportunity. The FREE PAINTING was shipped yesterday. Look for a comment from the winner later this week. The October FREE PAINTING GIVEAWAY was so much fun I am doing it again in November. Watch for details in coming days. We will be painting at a breath-taking location that has been used in over a dozen movies and TV shows. Very inspirational! 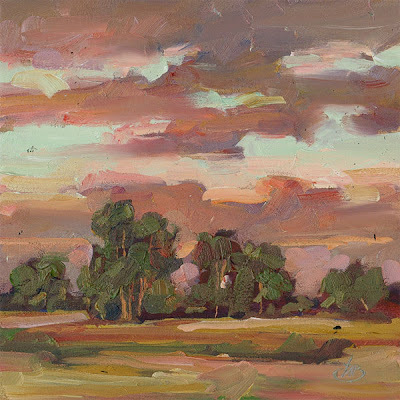 If you have ever wanted to try your hand at Plein Air painting or polish your skills, this is the perfect opportunity. To purchase, email me at tombrownart@gmail.com I ship to the United States only. THE WINNER has been chosen for the FREE painting from my blog and the painting is being shipped today. Thanks to each of you for entering, and thank you for all the kind comments about my work. This was so much fun that I have decided to do it again in November, so stay tuned! For me, beauty is wherever I find it. 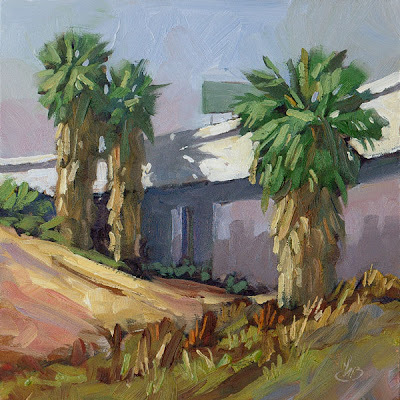 The simplicity of this scene attracted my eye, especially the gritty beauty of the freeway structure contrasted with the graceful lines of the palm trees. This is a scene that could be easily passed by without a second glance. But when you pause to see this little oasis of charm for what it is, you discover a thing of beauty. I hope you can appreciate it too. NEWS ABOUT THE FREE PAINTING GIVEAWAY: Time is up! All entries were due my now, but just in case anyone had computer trouble or was on the road I will still accept entries for a little while longer. You can still email me at tombrownart@gmail.com and your name will be entered. A name will be selected at random and the winner will receive an 8x10 inch original oil on canvas. No strings attached; even shipping is free. Your email header MUST read: “GIVEAWAY” and the message must include your name and street address (or shipping address). That’s it. It’s that simple. But your message must be received today to qualify. Good Luck! Email me at tombrownart@gmail.com to purchase. I ship to the United States only. I look forward to fresh air and ocean breezes again as the wildfires here in California are eventually brought under control. This painting captures one of those perfect days before the fires. Enjoy! NEWS ABOUT THE FREE PAINTING GIVEAWAY: Yesterday I posted the painting that someone will win absolutely free. You still have 24 hours to enter your name in the drawing. Email me at tombrownart@gmail.com and your name will be entered. A name will be selected at random and the winner will receive the 8x10 inch original oil on canvas. No strings attached; even shipping is free. Your email header MUST read: “GIVEAWAY”. The message must include your name and street address (or shipping address). That’s it. It’s that simple. But your message must be received within the next 24 hours to qualify. By the way, I plan to do this again next month. Keep watching even if you didn’t win this time. 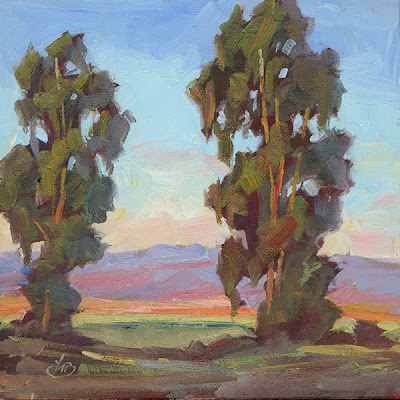 Oh, and for all the artists out there, keep an eye on my blog for details about a new weekend-long Plein Air Workshop I plan to conduct just north of L.A. next month. We have a stunning location for the workshop, which has been used in dozens of movies and TV shows. Also watch my blog for info about my new TV art show that begins filming next month. Good luck in the FREE GIVEAWAY! And thanks for watching. Yes, TODAY IS THE DAY when I offer a free painting to some lucky winner! The painting shown here is going to someone ABSOLUTELY FREE. There are no strings attached; even the shipping is free. This is just my way of thanking all my loyal followers for watching my blog and posting comments from time to time. The message must include your name and street address (or shipping address). That’s it. It’s that simple. But your message must be received within the next 48 hours to qualify. Click the headline to purchase this painting. Wildfires are still burning out of control in Southern California near my home. 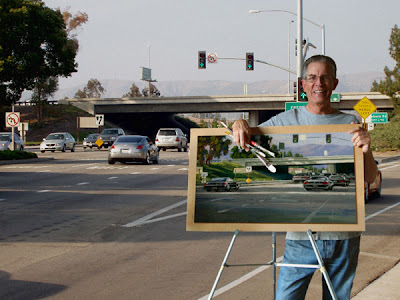 The photo was taken in my neighborhood Monday morning when I set out with my paints to capture this awesome sight in oils. As I created this painting on location small bits of ash fell and became embedded in the oil paint. They can easily be brushed off when the painting is dry but I decided to leave them now, as they impart a sense of history to this piece. You can click the headline to purchase this painting. This is a unique piece of history that documents an awesome moment in time. The FREE PAINTING is not offered today, but keep watching. It could be any day now! (Maybe even tomorrow!) When I post the free painting you must email me within 48 hours for a chance to win. There are no strings attached; even the shipping is free. A breath of fresh, clean air! 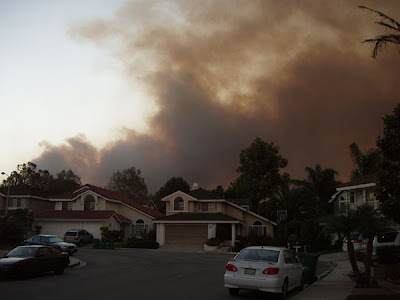 Wildfires are burning out of control in Southern California near my home. 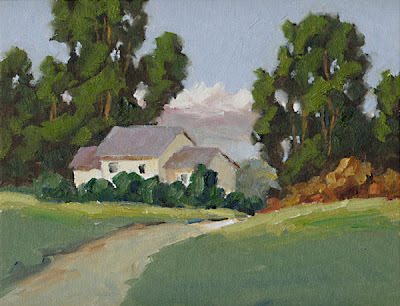 The photo was taken in my neighborhood Monday morning when I set out with my paints to capture this awesome sight in oils. As I created this painting on location small bits of ash fell and became embedded in the oil paint. They can easily be brushed off when the painting is dry but I decided to leave them for now, as they impart a sense of history to this piece. I also created two other paintings of the fires that are on eBay. You can click the headline to purchase this painting or see the other wildfire paintings. Each is a unique piece of history. The desert is very beautiful when you learn to see it for what it has to offer. Late in the day the contrast of color grows increasingly stronger as the sun moves toward the horizon. When massive cumulus clouds build up behind the mountains it adds even greater drama. This one is dedicated to those who know the desert. Enjoy! FREE PAINTING GIVEAWAY! SEE DETAILS. 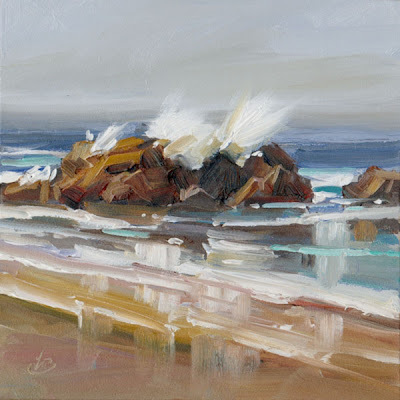 The title of this painting came from the thundering roar of the surf as it pounded against the craggy rocks while I painted this. 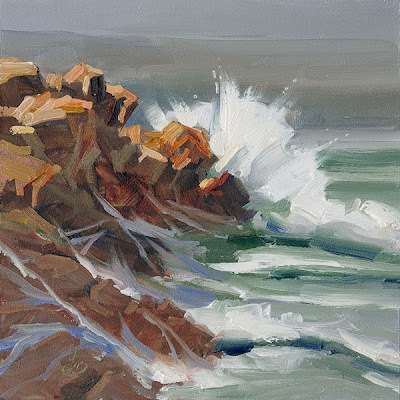 I was attracted by the contrast of the immovable rocks and the constantly moving water. The rivulets of water draining off the rocks after each pounding wave added further interest. Click the headline to purchase this painting on eBay. 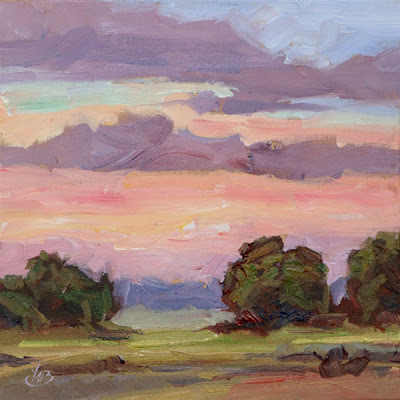 You can place a bid and watch the auction, or you can purchase the painting immediately with the "Buy-It-Now" feature. 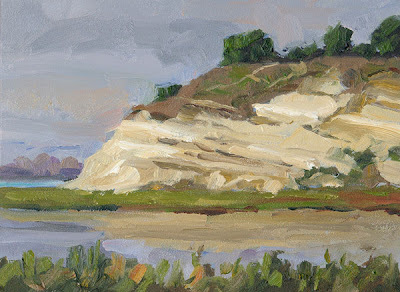 I painted this at a wonderful location a couple of artist friends (Kim and Dori) told me about. 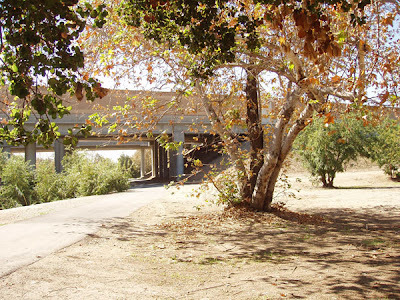 This view is at the edge of a park near a freeway. I liked the geometric man-made forms of the freeway in contrast to the organic shapes of the trees. And I especially liked the light filtering through the trees. I’m including photo I shot while painting there so you can compare it to my interpretation of the scene. 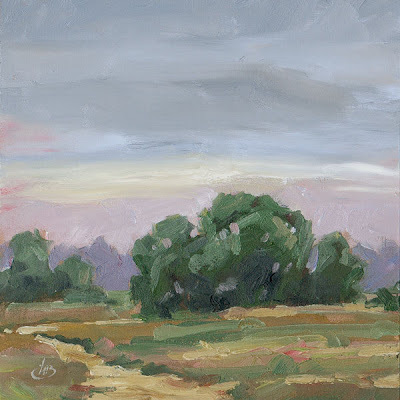 This painting is not for sale, but click the headline to see my eBay paintings. PS: The FREE PAINTING is not offered today, but keep watching. It could be any day now! (Maybe even tomorrow!) Remember, when I post the free painting you must email me within 48 hours for a chance to win. There are no strings attached; even the shipping is free. The local pumpkin sellers are displaying a beautiful array of shapes, colors and types of pumpkins. I simply HAD to paint these two! Hope you like this. WIN A FREE PAINTING, NO STRINGS ATTACHED. SEE DETAILS. 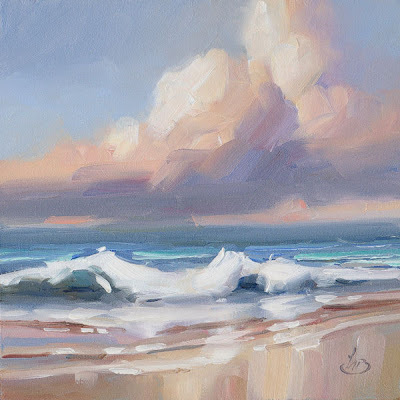 I feel very fortunate to live near the ocean and be able to set up my easel at the edge of the surf in the shimmering sands any day of the year. 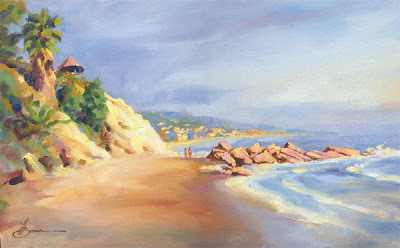 This painting will bring glowing memories of California beaches to anyone who has ever visited here. I guarantee you will enjoy this one. 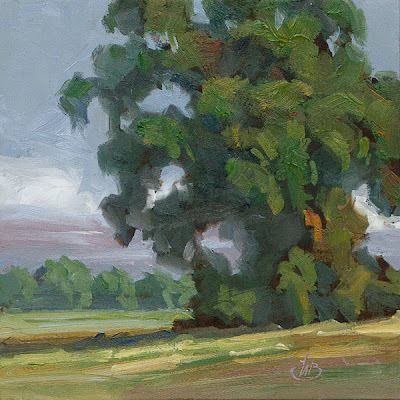 Click the headline to place a bid for this painting on eBay, or use the buy-it-now feature to purchase it immediately. 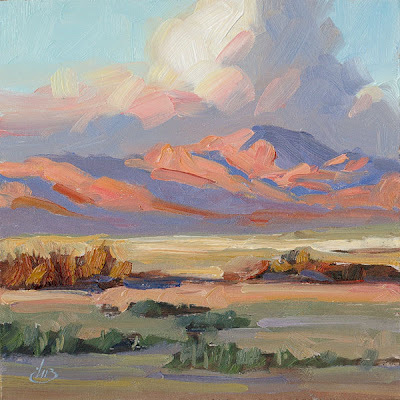 SOUTHWEST LANDSCAPE, PLUS FREE PAINTING DETAILS! To buy this painting email me at tombrownart@gmail.com I ship to the United States only. I paint the things that move my spirit. In this case it was the color of the light on the mountains. The light was changing quickly and I knew from experience I needed to grab my paintbox and get right to work in order to capture it. 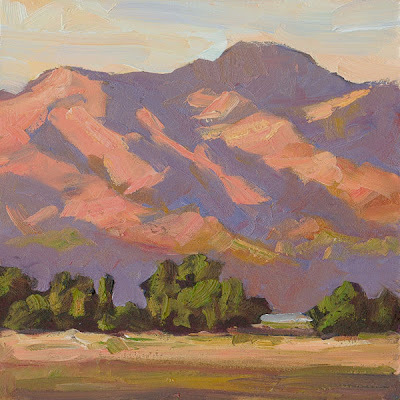 Not long after this painting was completed the light was gone and the mountains turned to gray, but I had preserved it in oils. Hope you like it! 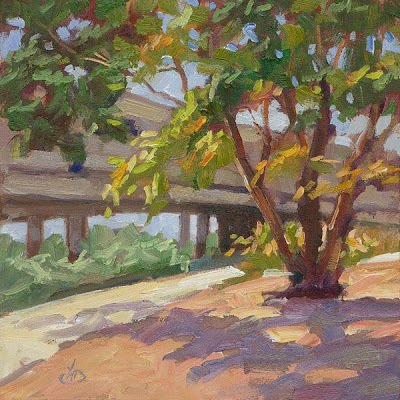 The second photo today shows one of the paintings in my current one-man show that runs through October 27th at the Irvine Fine Arts Center. If you haven’t had the chance to see it there is still time. 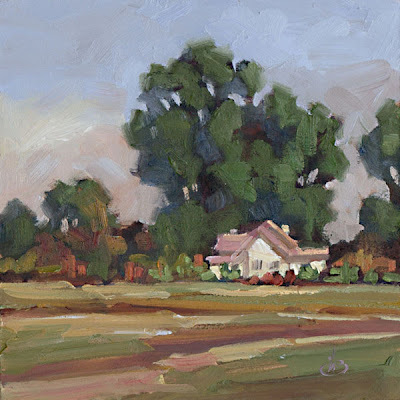 On my daily painter’s blog I post small pieces but many of the paintings in this show are 24x36 and larger. You may enjoy seeing my larger paintings. Also, keep watching for the FREE PAINTING GIVEAWAY. It could be any day now! (Maybe even tomorrow!) When I post the free painting you must email me within 48 hours for a chance to win. There are no strings attached; even the shipping is free. Keep watching for the FREE PAINTING GIVEAWAY. It could be any day now! (Maybe even tomorrow!) When I post the free painting you must email me within 48 hours for a chance to win. There are no strings attached; even the shipping is free. The air was cool with the sweet smell of rain coming, but I was able to complete this painting before the rain came down. 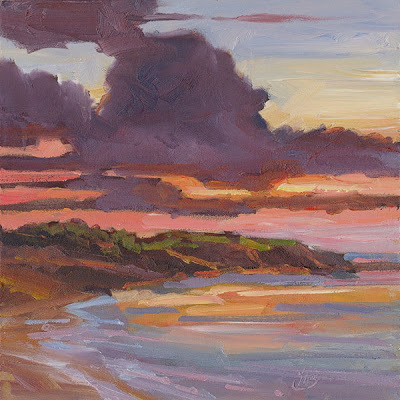 I did this painting the same day as the piece entitled “Silver Sky.” I hope you can get a feeling of the weather as you look at this painting. Thanks for stopping to look. 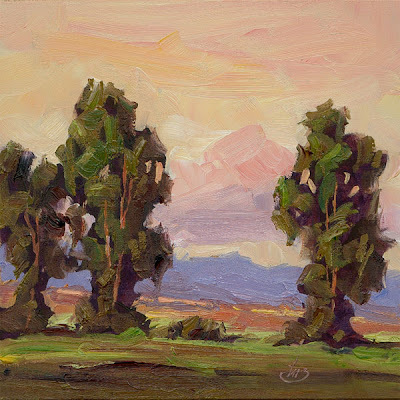 CALIFORNIA IMPRESSIONIST LANDSCAPE – PLUS FREE PAINTING GIVEAWAY INFO! Keep watching my blog for the FREE PAINTING GIVEAWAY. It could be any day now! When I post the free painting you must email me within 48 hours for a chance to win. There are no strings attached; even the shipping is free. When I am in the right place at the right time, the picture almost paints itself. At times like that I merely grab the brush and hang on for the ride. And what a ride this was! WIN A FREE PAINTING! SEE DETAILS. 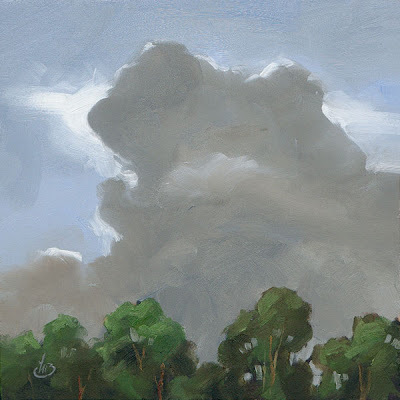 I painted this piece on the same day I painted another of my auctions entitled “Weather Coming.” Rain was on the way, and the sky was overcast. But the air was sweet with the smell of the rain moving in and it was utterly peaceful. Soon after I completed this painting and safely packed it away the rain came down. Remember to keep an eye on my blog for the FREE PAINTING GIVEAWAY! I will give away a FREE painting on my blog sometime this month. Keep checking every day to see when I do it, and email me within 48 hours to win. I always enjoy painting California sunsets, and this was no exception. This painting will bring a breath of fresh air and sunshine into any room of your home. Hope you like it. And keep an eye on my blog for the FREE PAINTING GIVEAWAY! I will give away a FREE painting on my blog sometime this month. Keep checking every day to see when I do it, and email me within 48 hours to win. 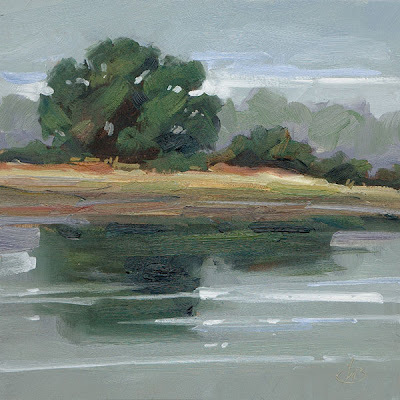 This oil painting was created on location during a Saturday Plein Air workshop I conducted at the Newport Back Bay Wildlife Preserve. The location and weather were perfect and I was surrounded by friendly faces. I couldn’t ask for anything better. FREE PAINTING GIVEAWAY! I will give away a FREE painting on my blog sometime this month. Keep checking every day to see when I do it, and email me within 48 hours to win. 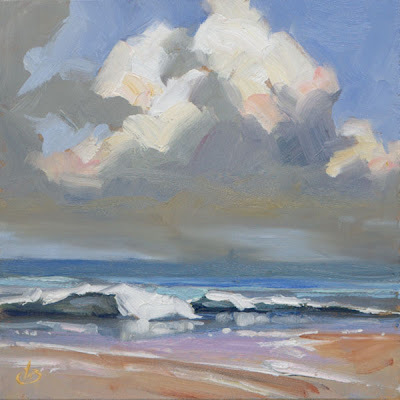 I especially liked the reflections of the surf on the wet sand and the impressive cloud formation overhead in this scene. 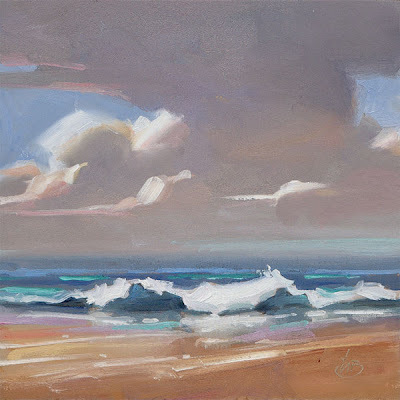 This is one of two paintings I recently did at the ocean on a cloudy day. The other one has already sold and this one is now on eBay. Keep an eye on my blog for the FREE PAINTING GIVEAWAY! I will give away a FREE painting on my blog this month, and it will NOT be at the very end of the month. Keep checking every day to see when I do it, then email me within 48 hours to win. FREE PAINTING GIVEAWAY THIS MONTH! SEE DETAILS. FREE PAINTING GIVEAWAY! I will give away a FREE painting on my blog sometime this month. No strings attached, even shipping will be free. Keep checking every day to see when I do it, and email me within 48 hours to win. FREE PAINTING GIVEAWAY THIS MONTH. SEE DETAILS. WIN A FREE PAINTING THIS MONTH! SEE DETAILS. FREE PAINTING GIVEAWAY! I will give away a FREE painting on my blog sometime this month. Keep checking every day to see when I do it, and email me within 48 hours to win. Tell a friend, too! FREE PAINTING GIVEAWAY! 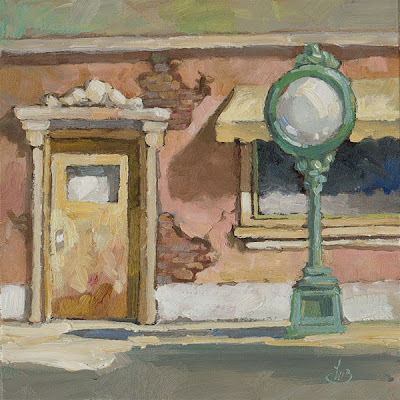 I will give away a FREE gallery-quality painting posted on my blog this month. Keep checking every day to see when I do it, then email me within 48 hours to win. This quaint little shop with fliers and ads in the window reminded of Floyd’s barber shop in the fictional town of Mayberry. 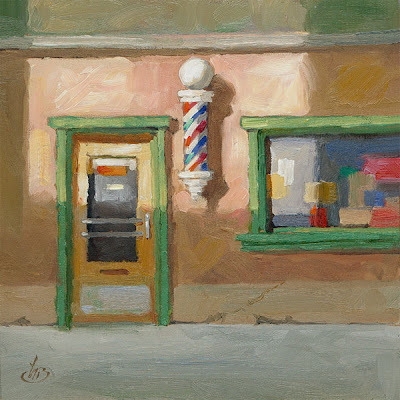 It had the friendly feeling of a bygone era when the barber shop was a place to trade gossip and visit with other local townspeople.